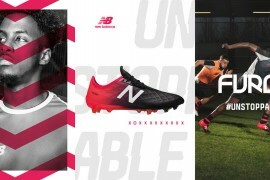 Coming into an English football market dominated by brands that have been engrained into the public conscience for decades is something that’s likely to intimidate even the most ambitious of sports brands. 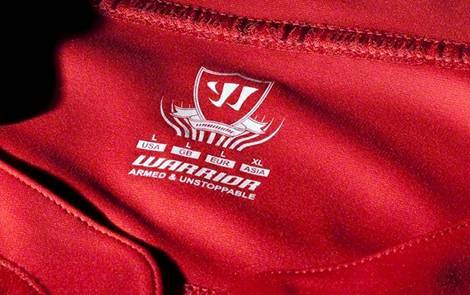 But as we found out in our interview with Head of Product Marketing at Warrior Sports, Kenny McCallum, if there’s one thing Warrior have in spades; it’s ambition. Q. 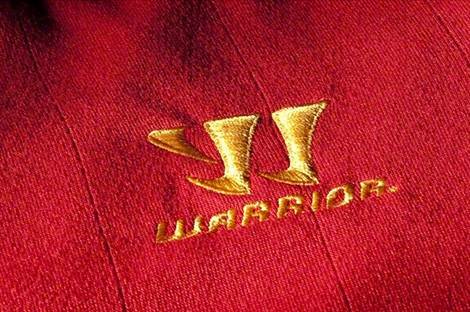 We know the Liverpool FC & Warrior Partnership has been ‘on the table’ for over a year now – but how long did you spend working on the design of the shirt itself? 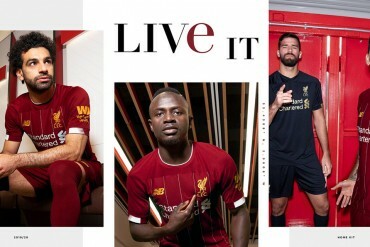 We got plenty of time in many respects; the process behind the shirt was much more than just the ‘design’ of what the kit will look like, there’s also the development process and delivering the product to various places around the world; particularly with a club [with global appeal] like Liverpool. What would normally take sort of 18-24 months in a perfect world, we worked within a 13 month cycle – and still delivered everything on time as it was expected by the club and it’s retail partners around the world. Q. Were you and the team excited to be working on one of the most iconic shirts in soccer? Absolutely! Within any business, you get a mix of supporters from different teams. 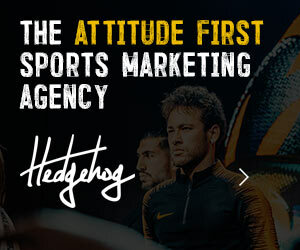 Throughout the design team, we’ve got people who are supporters of various clubs throughout the Premiership – particularly of a club not too far from Anfield and another that happens to be big rivals of Liverpool! But the opportunity to work with Liverpool was one that everybody couldn’t believe was presented – everyone was excited. I mean, what a way to introduce our brand to the world of football! [Liverpool is] one of the world’s largest clubs and licensed properties, so we were naturally very excited – and continue to be so! The challenge now is to bring new things to the club year-after-year and continue our innovation. Q. Whereas some new brands tend to start with shirts for smaller clubs first, there was no warm-up for you guys! 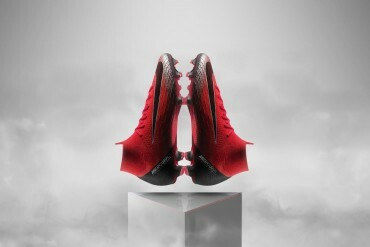 It’s unprecedented, and that hopefully highlights Warrior’s intentions within the world of football. Well-established clubs tend to stick with well-established brands and brands of a particular size – which makes this truly unique. You don’t see ‘starter’ brands in any sport having relationships with clubs of such a size. Q. Can you tell us a little more about ‘War-Tech’ – and the role of coffee grounds in the production process? It’s a unique part of the production process: Coffee grounds are introduced to the fabric as it’s being produced, as they’ve been proven to have significant benefits relevant to the world of football. By doing this, what you get is a wicking property – that takes moisture away from the body. Players sweat an awful lot during a game, and this helps remove that moisture and improve air circulation – it’s all about comfort and having the shirt work with the player during a game. Q. We’re a big fan of the ‘needle-out’ pinstripe on the home shirt – are there any bits of design on either shirt that you’re particularly proud of? I’ve got to say, I’m one of the particular individuals that follow Liverpool and love the club, so I was mostly just excited to be working on the product as a whole! I think we’ve managed to build in some really great technology; the physical attributes – the ones you can see – and then the features that make it great performance product. 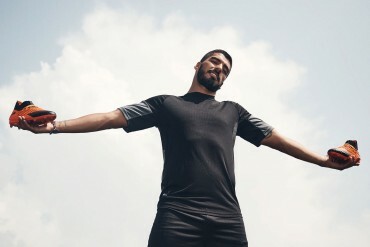 I don’t know if you’re aware, but there’s a high-water resistance aspect applied to the main body fabric of the new Liverpool Shirt. So, from an external point of view, any water like rain or spillage has a natural run-off that’s not absorbed into the garment. These are the things that are really important for performance, and in turn I’m very proud of. Q. The home shirt has a very ‘classic’ feel to it – were there any classic football shirts (Liverpool or otherwise) that inspired the team in the design process? What we did during the design process was inform ourselves with almost every Liverpool kit we could get our hands on; from home to away and third.There’s bits of detail from lots of kits. We’ve also got to look at what is in the market currently and provide a point of difference for that. Hence, you see a collar that doesn’t really come from any particular kit, but it does give a point of difference from what Liverpool currently wear. That said, the all-red look was something that was instrumental during Shankley’s reign. 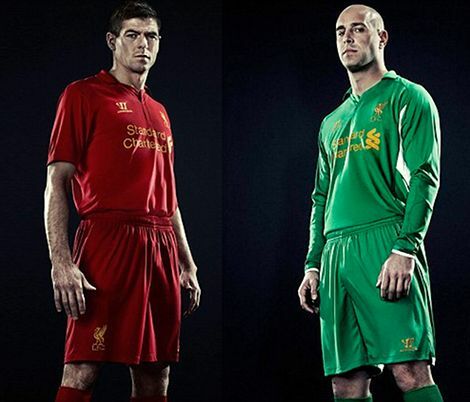 He changed Liverpool to this pure red; red for power, red for danger – and that era inspired the ‘simple’ look of the kit. 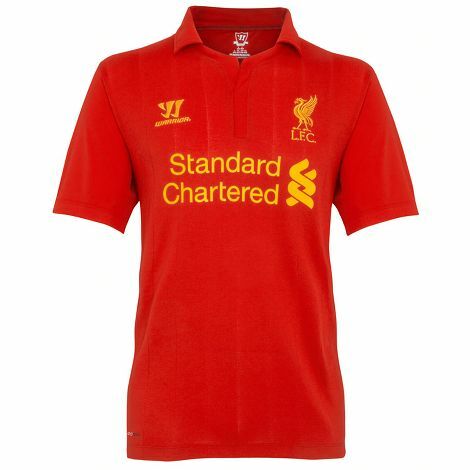 The second aspect – as far as coming from a period of time – was the impact of the Liver bird on the chest. 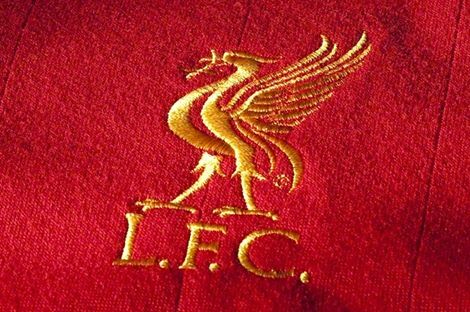 Liverpool’s crest has changed 8 times over the last 50 years, and looking back at all those crests, the Liver bird in amber yellow as we’ve used it was in use during the club’s most successful period. It was synonymous with success. Q. 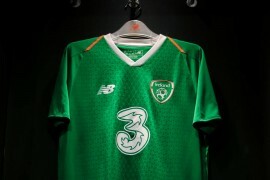 What were the players reactions when you showed them the new kits for the first time? The reaction was great! We were pleasantly surprised – you have to show it first on a hanger, and we thought it might take a while to get used to. But all of those that were involved with the photography, in terms of players, there were no real negatives – and that was something that was very important! Q. 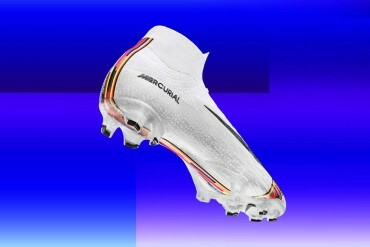 Finally – Can you give us a tiny hint as to what we can expect from Warrior’s football boot range later this year? 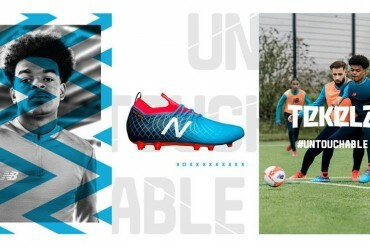 Absolutely – footwear for us something we’ve very excited to be bringing in and you can expect to see it over the season. 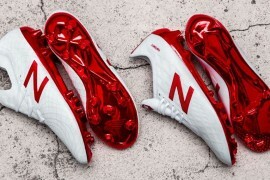 We’ll be bringing it in to the retail environment in November/December, so players will be featuring in the boots in the run up to then. 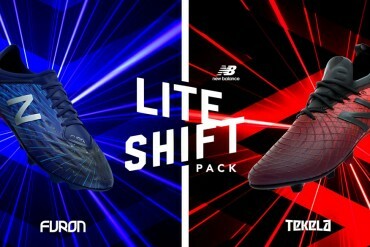 Sort of August/September time we’ll be seeing players training in them and wearing them in games. From a brand point of view, we’re aiming to deliver a product that helps players perform. I think you’ll be pleasantly surprised by what’s to come from the brand; very outlaw, revolutionary thinking that I think is going to surprise a few people! nice innovation and design, but the cloth looks very loose, like pajamas. thats my only complaint.